Hey everyone. I’m looking for a 10” speaker for my practice/studio amp. I’m a big Frusciante fan so I really like the vintage vibe but not so much the raw bluesy sound. Crisp glassy highs and smooth well rounded bass. Big power is also not something I require, the amp it’ll be used in only has a single 12AT7 and single EL84. I should also note I’m trying to stay under $100 retail. Thanks for the help in advance!! Looks like he primarily uses Fender and Marshall amps, which are very different critters. Is there a specific song where he achieves "the sound" you mean? What is the amp, what is in it now and are you married to the 12AT7 vs an AX or an AU?? Hey guys. The amp is my old 2005 Crate V8. 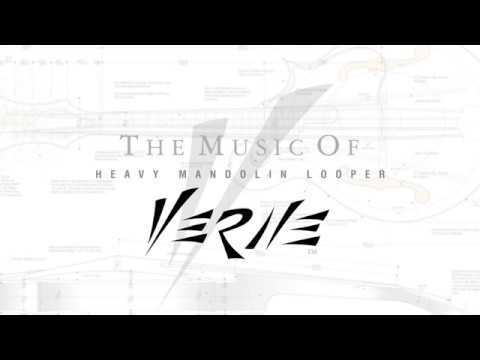 Id love to go nuts with it like Verne did over a 6 year span but that just isn’t possible. Not married to the AT but the AX just made it sound like it was projecting cancer into the air. So long as the factory Celestion is in it I won’t be putting an AX anywhere near it. But I’m totally down to swap the tubes to mate with a different speaker. Literally any kind of tube, I’m willing to hear it out. I’ve been looking at the Lil Buddy but I’m by no means set on it. So again any suggestions are appreciated!! almost twice as much as you want to spend. you will not have any regrets. If you're not happy with the Celestion that's in it you're probably not going to be happy with another one. I'd look at Eminence or maybe Jensen. The WGS American series is a possibility too. The Lil Buddy should be fine as long as you're not depending on speaker breakup for part of your tone; for that you're going to want something like the George Alessandro Sig 10". If you're trying to get the most out of your amp the Ragin Cajun has a fairly high SPL for a small speaker. One of the things I do know about Crate amps is that they put 'odd' resistance speakers into their amps, and yours is no different [My V2110 has a 16 ohm speaker...even though the schematic calls for an 8 ohm, and a 16 for the external speaker]. You may find that changing the stock Celestion 4 ohm 15w rated speaker to an 8 ohm at a lower wattage may make an interesting change in the sound of the amp. The amp should be able to handle an 8 ohm load, and the lowered wattage rating and change in relative efficiency may open up the voice...or may not...even going to a 15w 8ohm should change the tone noticeably. A cautionary note, though, that the cabinet does not have a lot of leeway to accommodate a larger magnet; that would prevent you installing many available speakers. IIRC, Verne wound up modding his V8 cab so he could front load his replacement speaker...a bit of an undertaking. I can't find an online schematic for the 5 watt Crates, but I seem to recall there was something about some Crate 5 watt combos not being 'all tube' [as advertised], but having an IC feeding the the preamp voltage...if so, then using an AT7 may well be the right tube, as an AU may drop the voltage too low to generate odd harmonics, possibly allowing the IC in the preamp circuit to generate some unwanted even harmonic distortion, and the AX7 may be too 'dirty' to get those glassy cleans...kind of hard to explain here, but has to do with the threshold voltages of the preamp tubes and that unidentified IC [although it may be a 1TL072 from some references I came across]. Man I would pull the plug on a Celestion Gold if the magnet wasn’t so huge, but it won’t fit in my cabinet! I haven’t looked into WGS much but it would appear they make some good stuff and people are frequently torn between them and Eminence. I’ll have to do a bit more research on them. If it were 15-20 years ago Jensen would be my immediate go-to for the job, but sadly they just aren’t the company they used to be. I think Eminence and WGS are companies that give you more speaker for the money these days. Yeah daddymack it’s an 8 ohm amp with a 4 ohm speaker. Just dumb lol. The factory Celestion is 4.2” in depth, from front of cab to circuit board housing is 4.5”, I seriously think that limits me to 3-4 manufacturers lol. Verne’s cabinet mod is way over my head, but man would that be sweet. I’m just not that handy. Verne has stated that the amp truly is all tube, but many others have stated what you have. Whether it is or isn’t doesn’t take away from the fact that there are far too many resistors, a crap opamp, and mismatched speaker. Like wtf haha. Thanks again everyone...the search continues!! The mods look pretty inexpensive to do. Any tech could handle that. The V8 is a true tube-amp circuit with an opamp between the input jack and the preamp tube. You could easily bypass it altogether if you want to be a purist about it, but the opamp (which is analog) gives you a nice clean signal boost (controlled by the gain knob) that's hard to get any other way. Once you put a high-end Excalibur in there, it's going to be the cleanest pre-pre boost you'll get as tubes are inherently noisy and pedals require cable and all the implies. The side benefit is the opamp requires a bipolar power supply (AC to drive the opamp), which came in very handy when I added the tremolo and reverb circuits. As for speakers - it's a tough one. The V8 cabinet is pretty compact, which I like, but it limits your speaker options based on size. Mine is configured as a 2x10 with a Lil Buddy in an empty V8 as an extension cabinet, and the Alnico Weber Silver Bell front loaded in the main V8. Weber also makes a Silver Bell variant with a ceramic mag that's probably small enough to back load if you want to look into that route. I like Weber - great products and people. I have no experience with the new Jensens but the WGS do tend to get very good reviews. I used my Les Paul Pee Wee (my avatar) for the riff and the lead section, Paris Swing for the acoustic mandolin and a p-bass. The Pee Wee is tuned in 5ths like a mandolin (Eb Bb F C G D) which makes for some interesting tonalities. I made this up on the fly with my looper pedal.